After the devastating Japanese attack on Pearl Harbor and the string of defeats that followed for the United States, Lieutenant Colonel Jimmy Doolittle, devises a plan for a daring raid to strike at the heart of Japan. 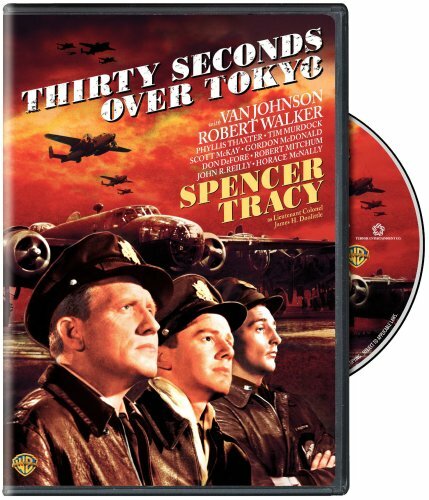 A squadron of American planes flies across the Pacific Ocean to deliver a deadly payload during Thirty Seconds Over Tokyo. In this true story of courage and ingenuity featuring an all-star cast, American pilots under Doolittle's (Academy Award winner Spencer Tracy) command make the seemingly impossible one-way flight by launching fully loaded bombers for the first time ever from the deck of an aircraft carrier and landing in China. The cost in pilots and aircraft for the Americans may be staggering, but the raid forever shatters the Japanese people's belief that the vast Pacific Ocean protects them from American counterattack.